Great jumping castle with a massive slide and pop ups and Basketball ring inside and out. Many hours jumping on this great castle is sure to be a success at any event . Good size jumping area with a basketball ring and hurdle pop-ups are a lot of fun. 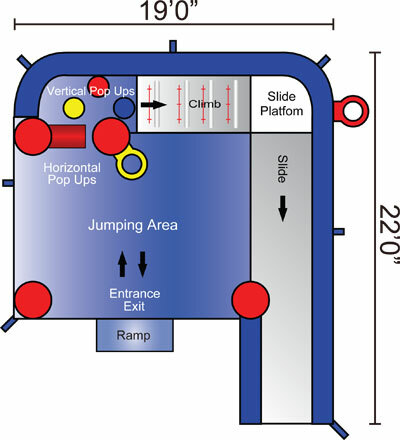 Climb area that allows you to go down the slide and land outside of the castle. 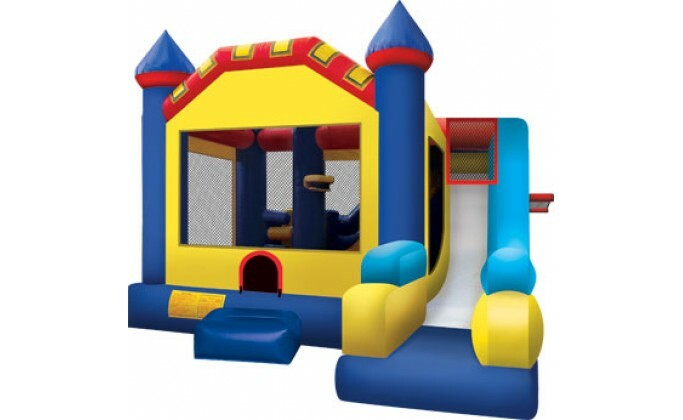 With great colors and that Castle theme this jumping castle is a hit with kids and adults.